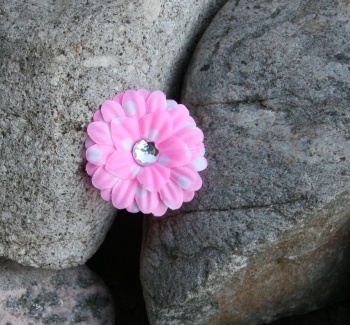 Girls will go crazy over this pink with white polka dots hair clip. This is a sweet silk daisy flower that is already attached to an alligator clip that is lined with a light pink grosgrain ribbon. This is ready to slide into her hair and then go for your outing!